The QuadQuestions MN2205-12 2400KV Racing Drone Motor by T-Motor is the official motor featured on the QQ 190 RTF drone. This motor is also exclusively made for Quad Questions and cannot be found anywhere else. This is a 12 pole, 2400kv rated motor to handle up to 4S batteries. The design of this motor is based on the needs for low weight racers and better flight longevity. The QuadQuestions QQ 2205 2400KV motor by T-motor is made possible by many mechanical aspects. A shorter motor housing allows for less weight while still being durable. The rotor shaft is also made hollow to minimize weight. This also makes it susceptible to breaking. It is advised to not tighten any prop nuts too tight to avoid breaking the shaft.The rotor is held together by a solid laminated shaft piece that slides into the base housing. This is then held in place by a c-clip to allow for free and smooth rotation. The c-clip can make disassembly difficult but does not hinder the performance or mounting. The mounting points are standard sized for M3 screws and are spaced to fit with any quad frame. The magnets are housed in tight slots and are reinforced with a strong epoxy to reduce slippage. The windings are tight and are made with a thinner copper wire to achieve more turns in the coil. This causes the motor to have a higher KV rating. A helpful aspect of this motor is that it comes with male bullet connectors as the terminal leads. Anyone trying to swap motor should find it easy to do with these. No soldering required as long as there are female bullet connectors available. The motor has a minimalist look to it that makes it mesh into any quad frame. The simple black finish will pair well with aluminum or carbon frames and will highlight any prop color paired. Aesthetics may not be the highlight of this motor but performance is where it all counts. Designed for efficiency with minimal performance differences. The mechanical information is important but let’s look at some performance data. Thrust profiles of the motor is very important as the motor operates differently with different loads. The testing is performed on a RC Benchmark 1580 Dynamometer with a 30A Little Bee ESC. When testing we are primarily concerned with the amps draw, motor efficiency, thrust force and maximum speed. A good motor and prop combo should have a consistent efficiency and a high ratio of thrust to input power. The current draw should be minimal for the return in thrust. Below is some testing data for performance across common 5 inch props. The motor tested phenomenally on 5 inch, HQ 5x4x3, props. The maximum thrust reaches above 800 grams letting pilots get the responsiveness they need. The motor again has a tight efficiency making it draw power consistently. Nearly 3.5 times the return of thrust on input power at 21.5 amps will make the combo last longer in flight. The HQ 5x4x3 is the recommended propellor to fly with this motor. 3.49 average thrust to input power ratio. Full throttle thrust of 821 grams of force. Maximum current draw of 21.5 amps. Motor efficiency between 75% and 83% in general operation. The results of the HQ 5x4x4 four bladed props were surprising. The efficiency of this prop load was great. There is a good efficiency of the motor itself while also returning decent thrust from the input power. The maximum rpm is more than most four bladed prop combos with other motors while it also doesn’t even reach 25 amps. 3.39 average thrust to input power ratio. Full throttle thrust of 830 grams of force. Maximum current draw of 23.3 amps. Efficiency between 70% and 80% in general operating region. A lot of 2 bladed props aren’t used in high speed racing drones but they still operate pretty well. A lower max thrust will make this combination less responsive in flight but you can expect longer battery life and a much higher max speed.The 2 bladed HQ 5x3x2 props performed the best in terms of battery usage. They have the best efficiency, highest speed and the least current draw. This is to be expected when comparing against 3 and 4 bladed props. Those who are using 2 bladed props should consider this motor. With the low weight, a high thrust wouldn’t even be necessary to get good in-flight responses. Then with the low current draw and high thrust return, a pilot would be able to fly for much longer. 3.71 average thrust to input power ratio. Full throttle thrust of 621 grams of force. Maximum current draw of 12.4 amps. Efficiency between 70% and 99% in general operating region. The Lumenier 5x4x3 props were a little disappointing. The thrust return on input power is lower than expected making it less efficient. At the same time most three blade motors should see higher thrust force. Despite this the motor itself has a relatively consistent efficiency under normal operation while just peaking just under 22 amps. It is not bad but this motor performs better with different 5 inch three bladed props. 2.91 average thrust to input power ratio. Full throttle thrust of 796 grams of force. Maximum current draw of 21.7 amps. Efficiency between 66% and 75% in general operating region. Lower KV means slower acceleration time than other high-kv monster motors, but we feel the gains in battery life and flight time mitigate this issue, especially when used on a small frame such as the QQ190. In conclusion, We recommend the QuadQuestions QQ 2205 2400KV motor by T-motor for any drone builder who is looking for an efficient solution when building a 5″ prop powered Racing Drone. I joined Quad Questions with the intent to test and rate common components in use. I am a senior electrical engineering student at the University of Colorado in Denver and recently became fascinated with drones. 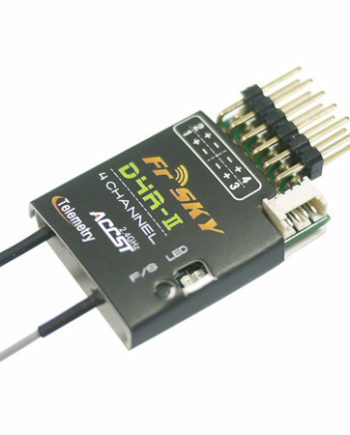 Some buddies of mine showed me the new FPV racing scene and I was interested since. I love to dive into technology and figure out all the functions and their strengths and weaknesses. This passion led me to Quad Questions where I can test the latest and greatest tech on the market and let you all know how it performs. I look forward to publishing more data as components come in. Check out these other links to great Drone Building articles. Check out these other links for great info about Drone building. What size are the bullet connectors or what size female connector do you need? Hi. They are 2mm Bullets.